Van Dyck Rösterei is a coffee roastery in the heart of Cologne. 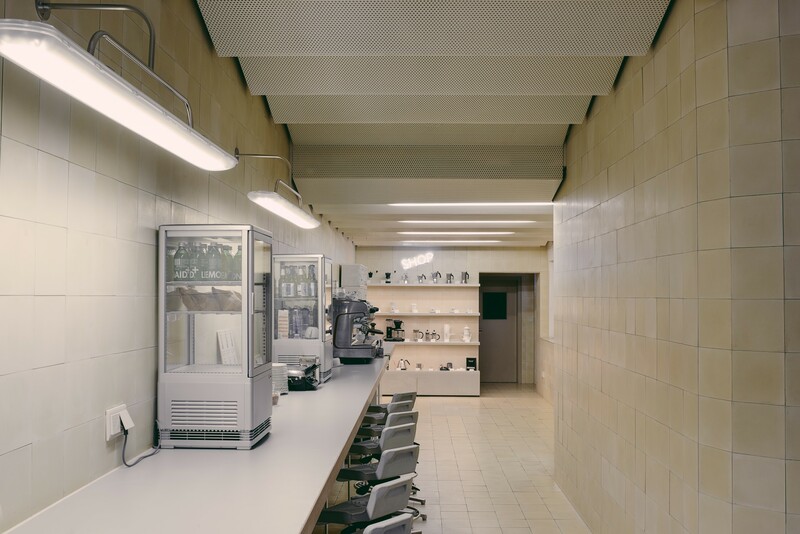 For their flagship store in Ehrenfeld the owners redesigned an old hair salon. 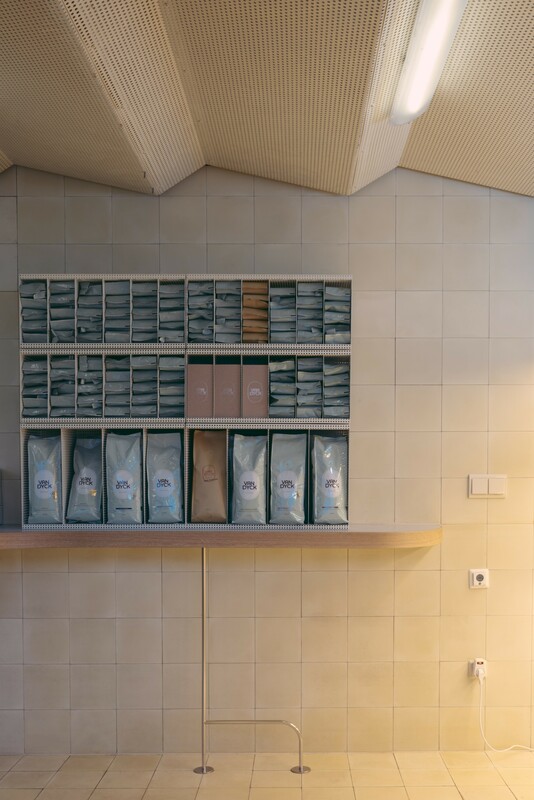 But after six years of roasting in the Körnerstraße the space became too small. The roastery moved to a bigger location in Cologne Mülheim. Since then, the flagship store in Ehrenfeld is mainly used as a cafe, brew bar and as a shop. 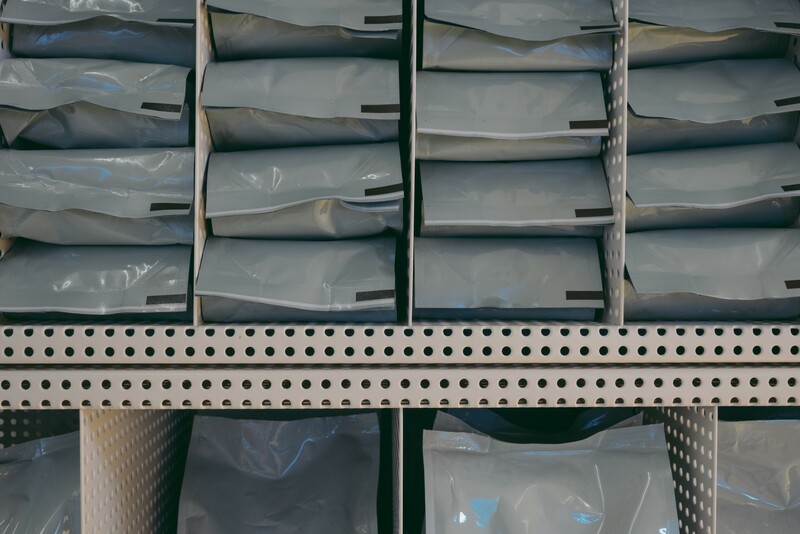 When the roasting machine changed the location, we created a space to store and present coffee bags and coffee equipment. Where there was the place for the roaster before, you will now find the SHOP-wall with four levels to show different types of coffee equipment and tools. It consists of three wall mounted shelves, a sideboard with more space at the bottom and a "SHOP"- neon sign at its top to create attention. Besides we designed a new modular coffee shelf, document trays and rollable trays to store even more products. 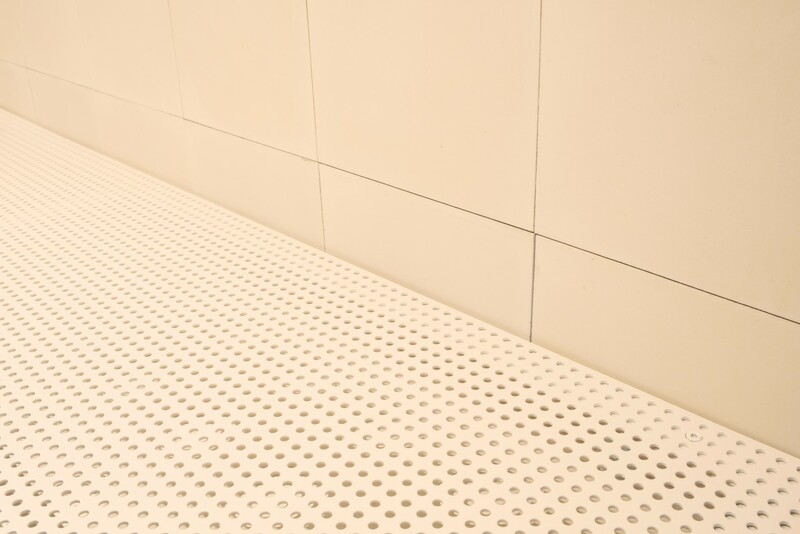 In order to fit to the perforated ceiling and their Corporate identity, all elements are made of the same material - perforated steel sheets.